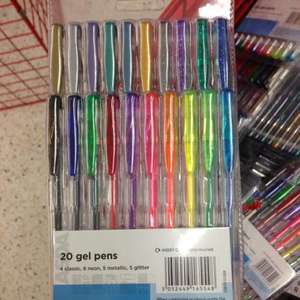 20 Gel pens at Asda for £1.00! Great for the kids, for writing all your Christmas cards etc or I've put mine away as a stocking filler. 20 gel pens in different colours for a pound... Who can complain! These are surprisingly good quality for the price of them buy them on a regular basis for the kids at work to use they love them!